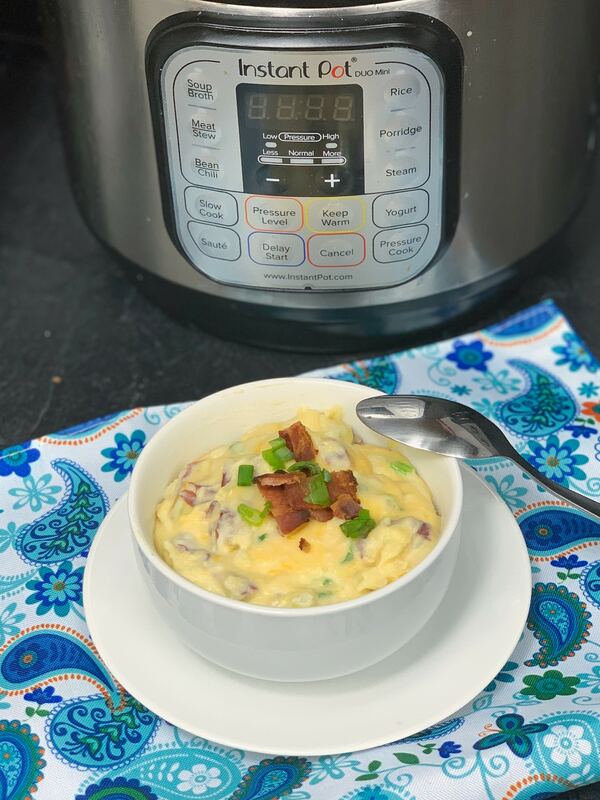 Loaded mashed potatoes made in the Instant Pot are easy, creamy, and loaded with toppings so every bite is packed full of flavor. 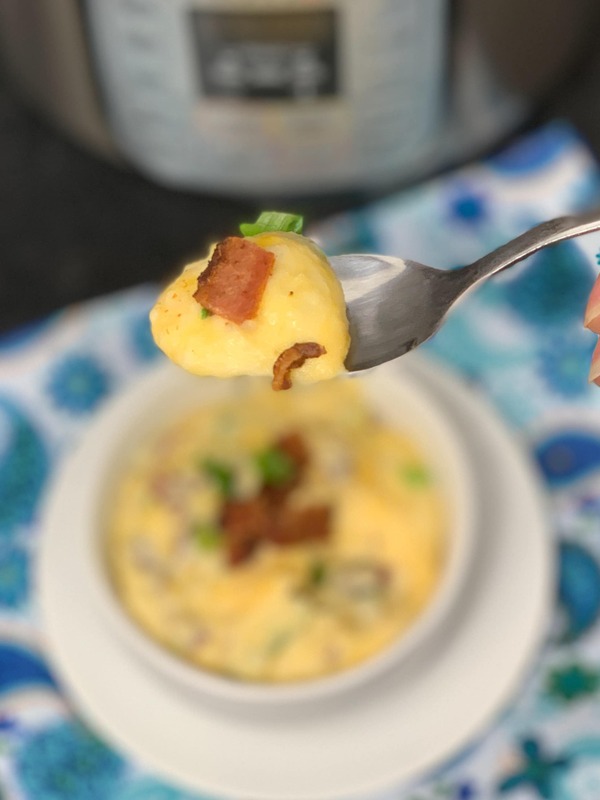 This loaded mashed potatoes recipe is one irresistible comfort food. They are extra creamy and the bacon and cheese just set the flavor right over the top! I love any type of spud recipe. One of my favorites is a loaded baked potato made in my Air Fryer. But, I will say these loaded mashed potatoes are one of my favorite potato recipe to date. 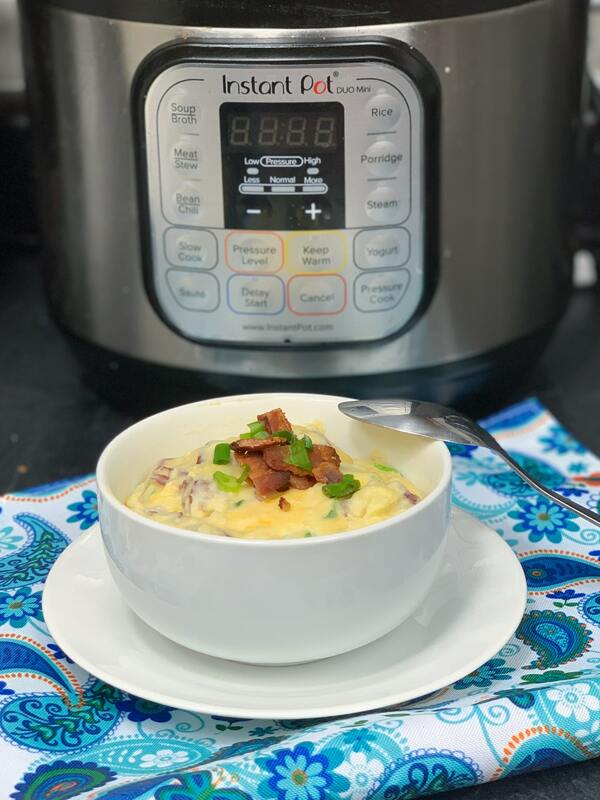 My TGI Fridays Mashed Potatoes in The Instant Pot is another favorite. I also love the speed and ease of preparing the mashed potatoes. I am slowly beginning to help teach my daughter how to spend time in the kitchen cooking. We are working on dinner dishes and sides so that as she grows she can master cooking in the kitchen. You will find so many kids don’t know the life skill of cooking, and I want to ensure each of my children learns. I give her age appropriate tasks to help with, then walk her through the other steps I take, so she can see first hand how things are being prepared. She is learning and growing with each meal or dessert we make. I highly recommend letting your kids help you while you prep your weeknight meals. Whether you make these loaded mashed potatoes for a weeknight side, for holiday entertaining, or to feed a crowd. 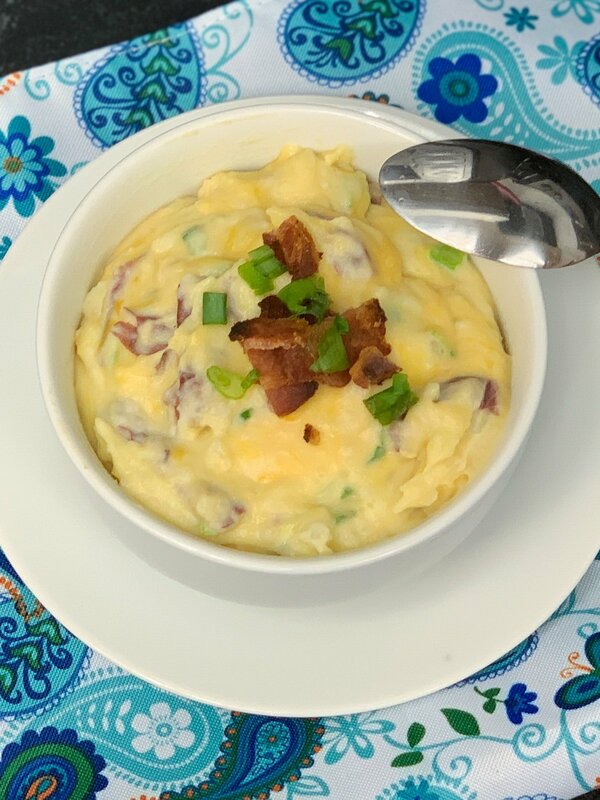 We find this loaded mashed potatoes recipe is a blue ribbon dish for any occasion. Add on any of your favorite potato toppings. Salty bacon, green onions, sharp cheddar cheese, and any other topping you choose. These potatoes are thick, creamy, and highly addictive. Yukons or russets work great, or you can even reach for a red potato. Feel free to peel your potatoes for a creamier consistency. While you can leave the peels on you will have a bit of a chewier texture when you bite in. It is all about what you prefer. Follow my recipe below, and behold the perfect mashed potatoes recipe. The Instant Pot pressurizes and really breaks down and cooks the potatoes nicely. The starches release and you get the ultra-creamy texture that you look for in potatoes. 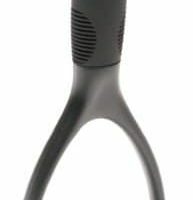 Make sure not to overcook your potatoes or they can make your potatoes become a glue-like texture. That is something you do not want. 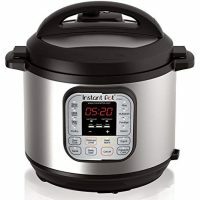 If you follow my recipe and ensure your Instant Pot pressures up you will have success each time. What can I add to mashed potatoes? In my world, there is no wrong cheese! You can use a single cheese or mix it up to create layers of flavor into your mashed potatoes. Here are some of my favorite cheeses for loaded mashed potatoes. Depending on what I have on hand depends what I sprinkle on top. I find that buying block cheese and using a grater to shred the cheese gives the best flavor. Sometimes pre-shredded cheese offers more of an oily texture. So as it melts it spreads more oil onto your potatoes. I do recommend shredding straight from a block of cheese if you can. How do you make cheesy mashed potato casserole? 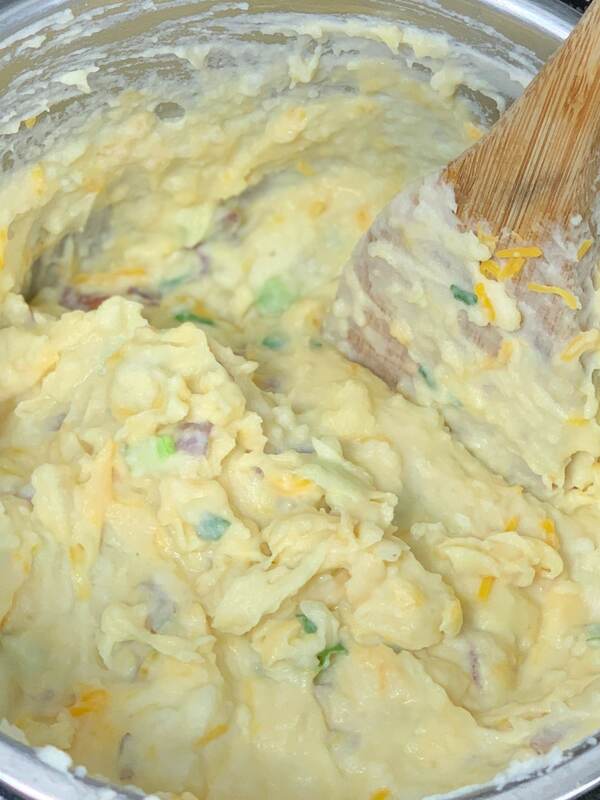 You can take this same recipe and easily turn it into a loaded mashed potatoes casserole. 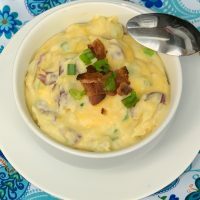 After mixing in the ingredients just spoon into a baking dish and bake on 300 for 25 to 30 minutes or until cheese melts, garnish with cheese bacon and green onions before serving. These creamy loaded mashed potatoes are an amazing side dish. Serve them up with a juicy steak or with fried chicken. To cook on the stovetop, add broth to a large pot and bring to a boil, until tender, then drain the potatoes. These can also be made in the slow cooker.